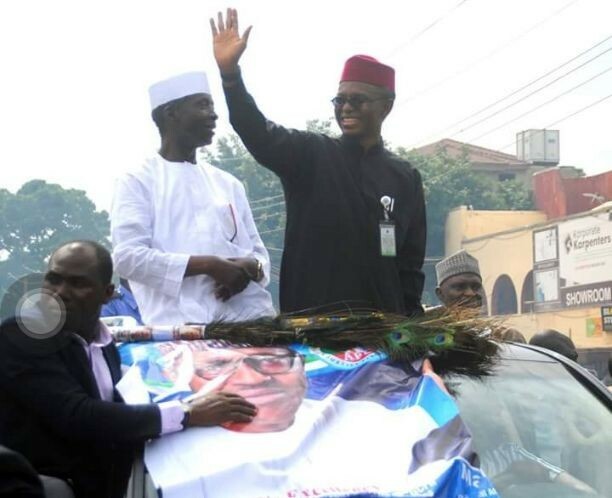 Deputy Governor of Kaduna State, Bala Barnabas popularly known as Bantex, has given reason the administration of Nasir El-Rufai, decided to take the former Bureau Chief of the Vanguard Newspaper in Kaduna, Luka Biniyat to court several months after. Bantex who represented El-Rufai at the second day of the Nigeria Governors Forum (NGF), Media Conference For media handlers of state governors, said Biniyat was the first person to write that the governor had sworn to retaliate the killing of any Fulani herdsman, insisting the report was false. The conference is on ‘Governors Public Perception: Changing the Narrative Agenda’ and has in attendance, chief press secretaries to the governors of the 36 states. The deputy governor who was responding to concerns raised on increased violence against journalists across the country, said while the first story was ignored, Biniyat’s second story of the killing of two students of a department that didn’t exist in the College of Education, could not be ignored and that was why the government sought judicial redress. According to Bantex, the report of the Fulani herdsmen has caused disaffection between the people of the area and the administration, hence they do not trust the governor even if he means well. He blamed the crisis in the states on some of the postings on social media not necessarily by journalists. “Those crises were clearly generated, inflamed and got to where they were because of false reports not necessarily by journalists but by this social media rave. People will take pictures from Rwanda crisis and say this is Kaduna State. “A particular journalist today is answering questions. He was the person who threw up the story that El-Rufai said that he was going to retaliate the killing of any Fulani man, it was in Vanguard. And so people of the area could not partner with El-Rufai as governor because they saw him as a man who will eliminate them and that was when they decided that they will go on self defence, not because somebody is attacking you and you are defending yourself but self defense meaning if you see anybody that looks like anybody, you kill him. And this was because people were so incited because everything that was published showed that the governor was working in tandem with their enemies. Biniyat regained his freedom after 93 days behind bars. Banex also gave reasons why Senator Shehu Sani is always attacking the governor. The deputy governor who says he respects Sani because he is natural when it comes to mobilizing the crowd, said he fell out with the governor because he wanted to be allowed to nominate three commissioners in the administration but the governor wanted to ensure the right persons were picked for the right duties.